“Clothing and home textiles are produced in Turkey on weaving machines from DORNIER by tradition”, says Wolfgang Schöffl, Head of Business Unit Weaving Machines at Lindauer DORNIER GmbH (LiDO). The machines are used to make fabrics for furnishings, curtains and hand towels, for example. But recently technical textiles have also begun to make an appearance in the product portfolios of Turkish weaving houses. The volume is still modest, but it is growing. Technical textiles as a market of the future for Turkish weavers? “It will happen”, Schöffl is convinced, as he sees the classic local textile industry responding to cheaper competition from India and China. 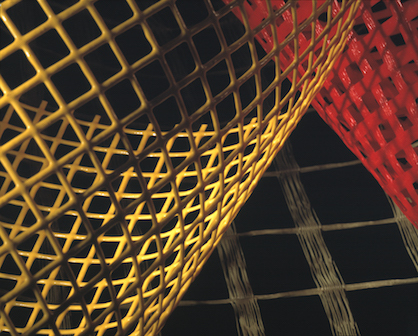 Technical textiles are generally considered to be growth market with enormous potential. Powerful industries such as aerospace, the automobile industry, wind energy and medicine all drive a steadily increasing demand. This has also been confirmed in a study conducted by the Swiss business consultancy Gherzi and commissioned by the European Apparel and Textile Confederation Euratex at the request of the EU Commission: The study found that the global market for technical textiles (including non-wovens) will experience annual growth rates of 5 - 6 percent and will reach a volume of almost 200 billion dollars US by 2020 (2014: 147 billion dollars). But the initial obstacles for weavers who want to break into the technical textiles market – often while still producing home and garment fabrics – are formidable. The standards of design and aesthetics are replaced almost entirely by function and quality. 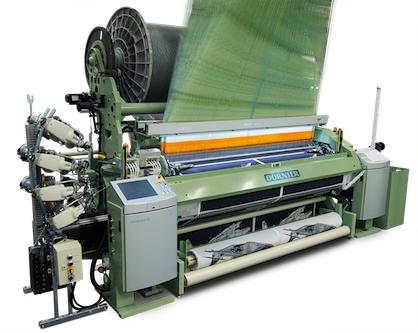 Companies intending to manufacture airbags, parachutes, filters or tirecord must have weaving machines that satisfy the highest quality standards. “Either the material is flawless – or it is useless; there is no second-quality category in technical weaving”, says Schöffl. And this is precisely why every weaving machine built by the technology leader DORNIER conforms to all major manufacturing criteria such as lowest warp and filling thread breakage rates, processing of various materials, high machine speeds and reproducible machine settings with consistent weaving quality. European companies might also benefit from technical fabrics produced in Turkey. The country astride the Bosporus is already a well-established textile manufacturing partner for the EU, and offers the further advantages of duty-free exchange of goods and short trade routes. Goods sent from Turkey are delivered to any destination in Europe in a few days by truck, not after weeks aboard a container ship. DORNIER has been represented in Turkey by DORNIER Makina Ltd. Sti. located in Istanbul for over ten years. This is the business hub for commissioning, repairs and shipping of original spare parts for the whole of this Euroasian country.